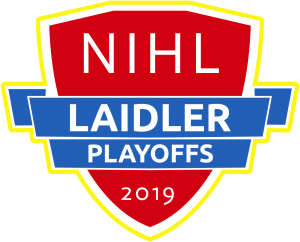 The 2018/19 NIHL season will end with a series of playoff events which will make up the 2019 NIHL Championship Series. In NIHL Division 1 North and South, the top eight teams will play three rounds of two leg ties to decide the regional champion. This will happen over the weekends of March 23/24, 30/31 and April 6/7. 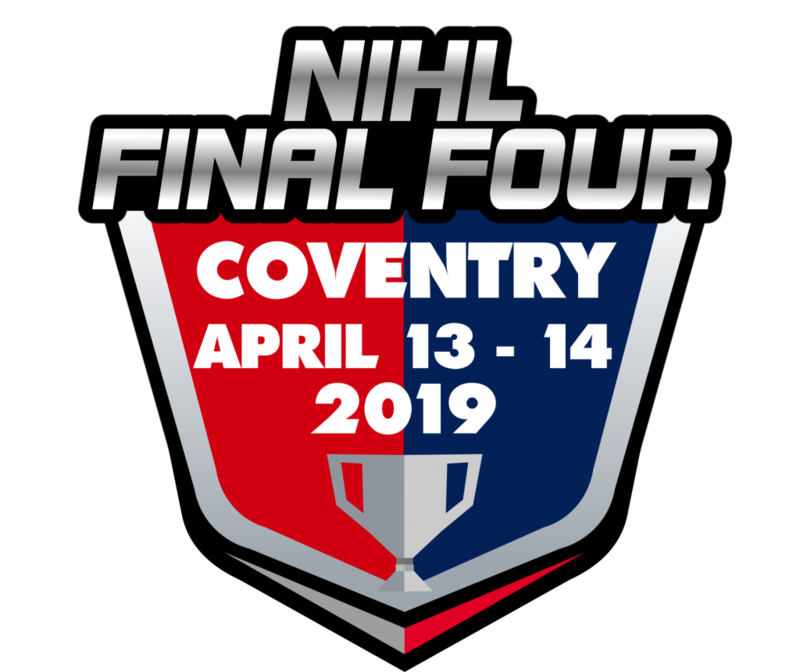 The teams who qualify for the regional finals will also qualify for the first weekend tournament, the NIHL Final Four which again takes place at Planet Ice Coventry over the weekend of April 13/14. Saturday will see two crossover semi finals taking place, with the respective winners then meeting in the Grand Final. Sunday April 14 will also feature the NIHL2 National Championship game between the winners of NIHL 2 North and South (Laidler and Wilkinson divisions). The NIHL North 2 Playoff weekend returns to Planet Ice Widnes over the weekend of April 20/21 with the top four sides from the league qualifying. The league winners will play the fourth place team, with the second and third placed teams playing the other semi final. There will be the same format in the NIHL South 2 weekend which will be held at John Nike Leisuresport in Bracknell for a second time. This will also be on the weekend of April 20/21. Tickets for the NIHL 2 events are available for sale from today. The North event will be sold from PI Widnes and online, while South tickets are online and at Bracknell Hornets home games. Ticket details for the NIHL Final Four will be confirmed as soon as possible once all details are finalised. This second year of the NIHL Championship Series promises to be and exciting conclusion to the season and the NIHL management hope that spectators from as many teams as possible take the opportunity to attend and celebrate a true festival of NIHL hockey.